Curating collections requires going to original sources which is gratifying. As part of the effort of building a miner on the golden age of Statistics, I researched those from Ronald Fisher times who might still alive. I found one researcher that precisely is Fisher’s only PhD: Calyampudi Radhakrishna Rao, now 98. I asked Dr. Rao for help in identifying important references and moments from those times. He graciously sent me his CV listing references to all of his glorious books (15), articles (477), and moments. Dr. Rao also sent me a PDF with historical photos of him with Mahalanobis, Prime Minister Nehru, Prime Minister Indira Gandhi, and others, and of many glorious moments from his career. What an honor! His work has impacted so many fields that there are several technical terms bearing his name. Now if the nodes are human brains, the information extraction from the part of the brain responsible of thoughts, emotions, senses, can be loosely termed Mind Retrieval. So Mind Retrieval requires communications between nodes (brains). The BrainNet Project represents one step closer toward this direction. Here is an interesting link (http://info.247apk.com/brainnet-can-have-three-brains-talk-to-each-other/) where three human brains were “connected” to accomplish specific tasks. Imagine a large scale project where the brightest minds can interact to take on bigger tasks or solve important scientific and practical problems. Imagine artificial brains (bot brains) doing the same. When I started this series years ago, many did not believe in the idea of mind retrieval, teasing it as mere speculations. I guess they have been retracted since then. Mind Retrieval and brain-to-brain social networks are at a corner near you, along with peripherals: browsers, reprogramming, adverts, teleports, hacks, etc. Ronald Aylmer Fisher was considered an outsider by the statistical establishment of his time. The links below (1-3) show his struggles & nuances with Karl Pearson, his son Egon, Bowley, their followers, and the Royal Statistical Society (RSS). His life was a story of accomplishments and noise (deceptions and nasty RSS politics). He was too ahead of his time. That reminds me of the struggles of another maverick: Benoit Mandelbrot. Eventually and like Mandelbrot, Fisher greatness was recognized. Also like Mandelbrot, he was able to boost the signal-to-noise of his career and life. Most statisticians consider Fisher the Father of Modern Statistics (https://en.wikipedia.org/wiki/Ronald_Fisher), even when he was not allowed to teach Statistics at the University of Cambridge (they tried to silence Fisher). Yes, scientists too can be demeaning to other scientists, more for personal reasons than for ideas and the Scientific Method. After all, they are also mostly carbon units called “humans”. A Goldmine for collection curators: Selected Bibliography of Statistical Literature, 1930-1957: Correlation and Regression Theory. Predatory Journals Miner. Our most recent miner. Find, research, and judge for yourself if a journal is predatory. The problem is pretty bad, particularly when those publishing in said journals are rewarded with career promotions and job security. It is all about the money, from all sides (authors, journals, publishers, and conferences). The problem is not unique to science conferences and “experts”. There are others out there that qualify as predatory; for instance, some predatory marketing conferences, some SEM/SEO “experts”, blah, blah,… Nothing new under the sun. 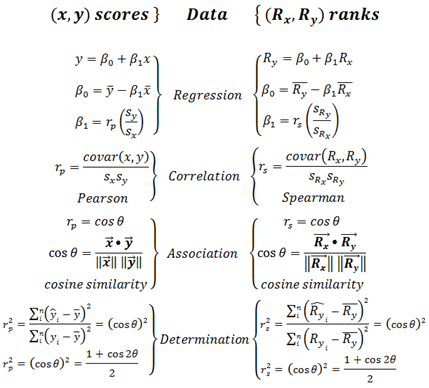 We have updated and improved our Regression & Correlation Calculator to demonstrate, as shown in the above figure, that a Spearman’s Correlation Coefficient is just a Pearson’s Correlation Coefficient computed from ranks. The tool uses an algorithm that converts values to ranks and averages any ties that might be present before calculating the correlations. 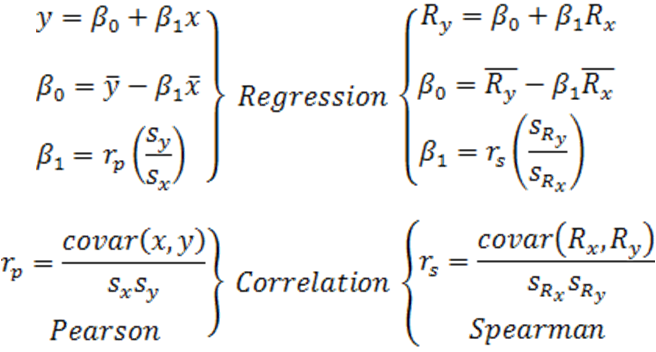 This comes handy when we need to compute a Spearman’s Correlation Coefficient from ranks with a large number of ties. increasingly overestimates the results, even if ties were averaged. By contrast, computing a Spearman’s as a Pearson’s always work, even in the presence or absence of ties. using Spearman’s classic equation rs = 0.6364 ≈ 0.64. By contrast, rs = 0.5222 ≈ 0.52 when computed as a Pearson coefficient derived from ranks. This is a non trivial difference. Accordingly, we can make a case as to why we should ditch for good Spearman’s classic formula. We also demonstrate in the page’s tool why we should never arithmetically add or average Spearman’s correlation coefficients. The same goes for Pearson’s. Early articles in the literature of correlation coefficients theory failed to recognize the non-additivity of Pearson’s and Spearman’s Correlation Coefficients. Sadly to say, this is sometimes reflected in current research articles, textbooks, and online publications. 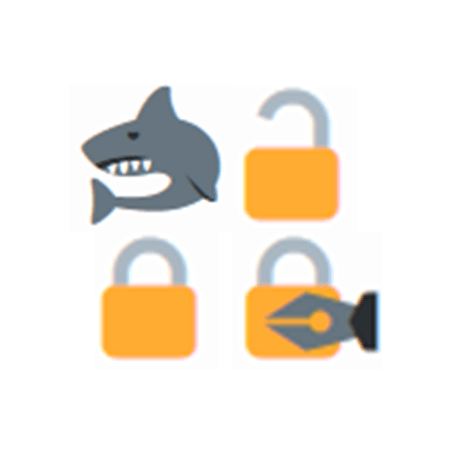 The worst offenders are some marketers and teachers that, in order to protect their failing models, resist to consider up-to-date research on the topic. PS. Updated on 09-14-2018 to include the numerical example and to rewrite some lines.